ALL-IN-ONE. 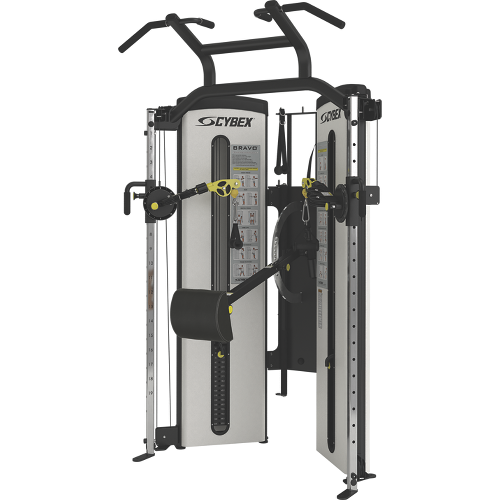 Cybex Bravo combines the best of selectorized and cable-based strength training. The only limitation to the Cybex Bravo is the user’s imagination. Functional Training with hundreds of movements in a single space-efficient machine. Users no longer have to make a choice between workloads high enough to build strength and free-form patterns of movement that train for real-world applications – like golf or tennis. The Cybex Bravo delivers both for the optimum result. This product comes in six varying designs to meet the demands of your health and fitness needs.